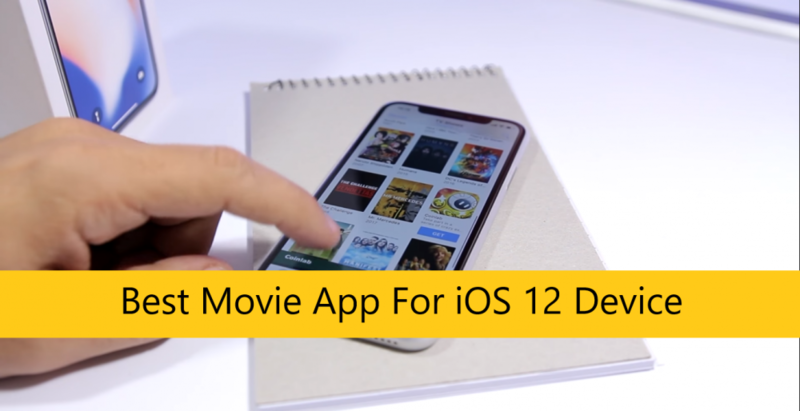 Best Movie App For iPhone – Hello guys, today I will show you guys the best movie box for iPhone and iPad that you can get on your iOS 12 device. this app is really really awesome and it has a lot of offer, a lot of movies, a lot of tv shows and it has some special features as well and in my opinion is also better than movie box. So let me show you guys how to install it and also, I will show you guys that how you can use it on your iOS 12 device. so let’s go further. So guys, media box HD is that app, about which we will talk. so what you need to do is open the link that I will live right down below the paragraph and that link will take you to the media box website, where you can download this app. so all you have to do here is just tap the download button and it will take you to the next page and it will show you a few sources from where you can download media box. I recommend you to use the media box website. because it has the latest version. So when you on the page then click on the media box HD and then you will see a pop-up and then click on the install button. so go to your home screen and wait for the app to install. if it hangs on waiting just tap once more in it and it will start loading. if downloading complete then what you need to do is go to settings then go to general and scroll all the way down to profiles and device management. just click on the media box profile and click to trust the app and now you can go ahead and open the app. Now let’s talk about how to use it on your iOS 12 device. but before you use it there are a few things that you need to know in order to make this app work way better. The first thing you want to do is go to settings and go to autoplay when streaming is loaded and turned this off. also, if it doesn’t load movies make sure you go to settings and go to default player and choose VLC just make sure you choose that and click OK and now you’re good to go. Go to lower in settings and also find different stuff to customize the app. you can use a brighter theme like the light theme or the dark. it’s pretty amazing. so it has quite a lot to offer. So when you open the movie box then you will 5 tap at the down of the movie box’s screen. let’s talk about the first tap. discover, here you can find trending movies collection all that cool stuff. you will have cartoons movies and you will have music charts all of that then you will have the other tabs. you will have movies, where you’ll find the latest movies and also TV shows and of course at all time. You will have the search bar right there to search for any movie that you want. So if you want to play any given movies so just tap on it and just wait for it to load. you can go ahead and download it or you can tap the play button and it will load the websites from where you can play that movie. just wait for load and then you can go ahead and play the movie on your device. So just wait for a few seconds and see which one will load faster and then you will be able to play that movie. If it has done then tap on the link, which has load fast and then it will start playing the movie just like this. it’s really really awesome and it’s very amazing as I said the UI is pretty nice and simple. guys, that’s really great as well so a pretty awesome app. in my opinion, this is a bit better than the movie box. so you will have any movie or TV show that you want on your device for free and that’s really amazing. so go ahead give it a try. it’s a pretty awesome app, very simple to use, very nice UI and you can customize it to your own liking. So that’s it thanks guys for reading this article. this is the best movie app for iPhone and iPad that you can download on iOS 12. so go ahead and download this best movie app for iPhone and iPad. I hope you guys enjoy the article. if you like this article then why don’t you share this amazing article with your friends, family members, and on the social media and also don’t forget to visit daily on this website. because we update here everyday new and helpful articles.